The Australian Government has provided funding to implement National Allergy Strategy projects, which is greatly appreciated. This includes funding that was announced by the Health Minister on Friday 5 April 2019 during the National Allergy Strategy Shared Care Model Roundtable. This funding will allow continued implementation of important projects. 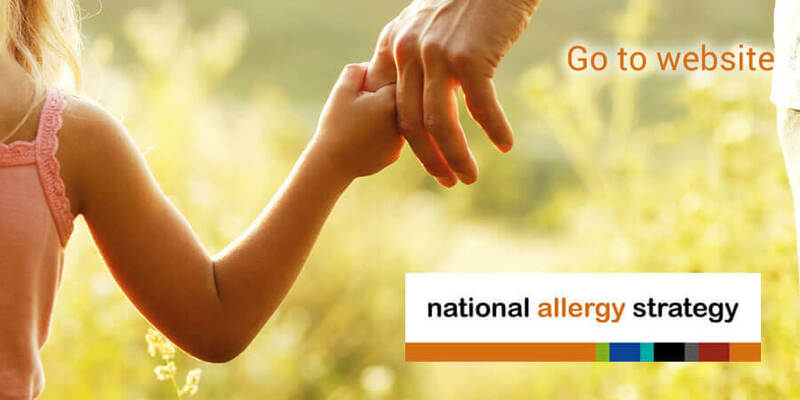 On 27 August 2018 the Nip allergies in the bub website www.preventallergies.org.au was launched in WA, as part of the Food Allergy Prevention Project pilot phase. The website aims to provide practical information to parents about when and how to introduce the common allergy causing foods as well as how to optimise eczema management for allergy prevention. This project has received funding from the Australian Government Department of Health. A Food Allergy and Intolerance Menu Assessment Tool for dietitians has also been developed in partnership with the Dietitians Association of Australia (DAA). 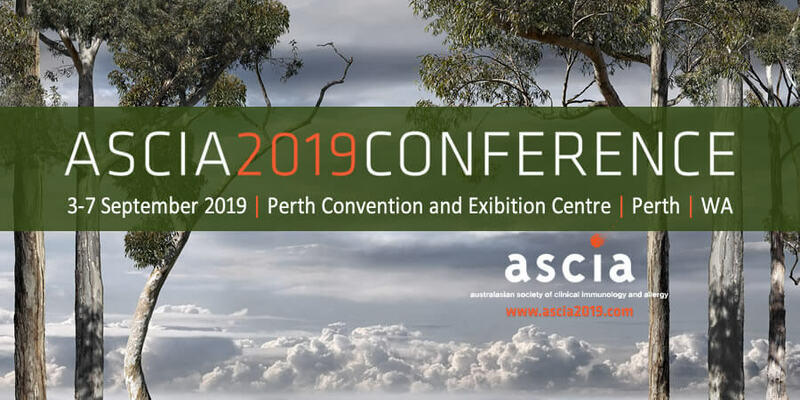 This resource is available to DAA and ASCIA member dietitians from the member sections of both the DAA and ASCIA websites. The National Allergy Strategy held an event at Parliament House in Canberra on Thursday 16 August 2018 to celebrate the National Allergy Strategy achievements to date and to call for ongoing funding. Speakers at the event included Minister Greg Hunt, Minister Ken Wyatt, Senator Richard Di Natale, Shadow Health Minister Catherine King, as well as consumers who shared their experiences, Mr Barry Hickey and Ms Jaclyn Jauhiainen. In his speech, Minister Hunt announced 5 years of funding for the National Allergy Strategy. We are very appreciative of this funding support and will continue to keep you informed of initiatives that we will be progressing with this funding. 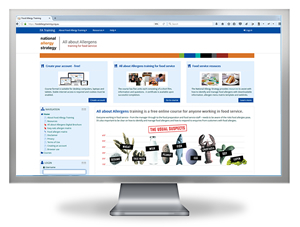 In response to engagement with key stakeholders in the food service industry, a free online training course that includes videos and interactive activities has been developed as part of the National Allergy Strategy and was launched in July 2017. A community education website www.foodallergyeducation.org.au has also been developed for people with food allergy and their carers. 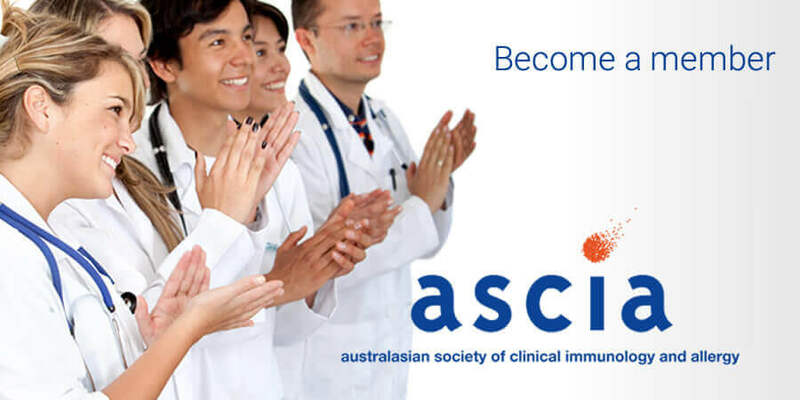 From left in central panel: Dr Melanie Wong (past ASCIA President), A/Prof Richard Loh (Chair, National Allergy Strategy Steering Committee and past ASCIA President), Ms Maria Said (Deputy Chair, National Allergy Strategy Steering Committee and A&AA CEO).